Iris May Murdock was born in Highgate Westmoreland Jamaica West Indies on January 27, 1919. She passed away on Friday November 30, 2018 surrounded by Family. She was 99 years old. Iris graduated from Caledonia All Age School, after graduating, Iris left Westmoreland to become an apprentice Dressmaker in Jonestown JWI. She perfected her apprenticeship and used her talent to help support her family. Iris migrated to Canada in 1979 to live with her daughter Valrie Rooms until she returned to Jamaica in 1997 where she lived with her daughter Doreen Hibbert, and then in 2012 she migrated to the United States. When Iris wasn’t watching her favorite game show Family Feud, she would tune in to TBN faith and family program. Her favorite past time was reading her bible and her favorite scripture was Isaiah 41:10 which says ‘Do not fear for I am with you; Do not be afraid, for I am your God. I will strengthen you, be assured I will help you; I will certainly take hold of you with my righteous right hand. Iris was a loving Mom and caring grandmother who loved her children and grand children dearly. 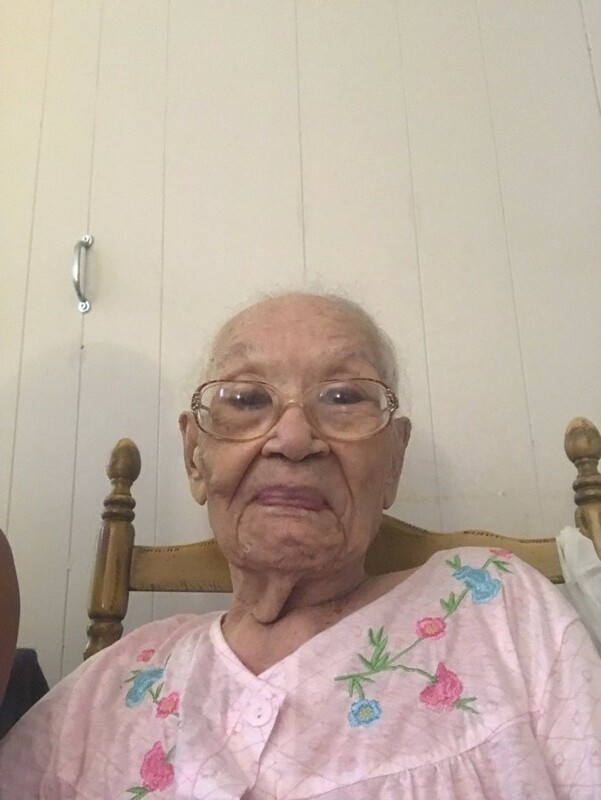 She is survived by her seven Children; Valrie Rooms, Doreen Hibbert, Marie Cunningham, Lano Cunningham, Ula Clarke, Melva Cunningham and Charles Cunningham, grand-children and great grand-children, nieces, nephews and cousins. She was pre-deceased by her parents Caleb and Amy Murdock. Her 4 brothers Lennie--Reggie--Hensley and Early: 5 sisters Lil--Emma--Hilda--Maud and Ethel and Philip Cunningham the father of her children. Iris spent her entire life devoted to taking care of her family; she left an impression on the lives of those she touched.